An enjoyable read, although a somewhat abrupt ending! I wasn't expecting that at all. Looking forward to reading more by this author. Sometimes second chances can kill you. From the moment he woke that early March morning, Chase Hampton knew, once he was released from prison later that day, he was never going back. No matter what. Born into a wealthy but flawed North Carolina shipbuilding family, Chase Hampton was somehow immune to the dysfunction. The sky was the limit for the 18-year old football prodigy, until one terrible event changed the course of his life and prison became his new home. Through the highs and lows of his incarceration, there was one person he couldn’t forget, no matter how hard he’d tried: childhood best friend Bailey Masters. For reasons unknown to him, she'd shunned him ever since her mysterious return to Foggy Harbor at the beginning of their sophomore year. 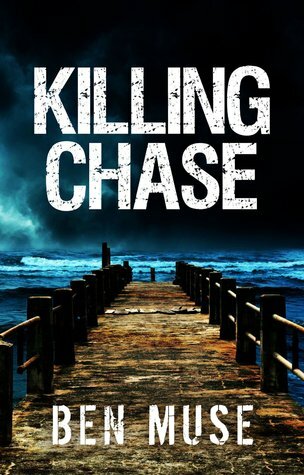 Now, seven years into a twelve-year manslaughter sentence, Chase is given an unusual second chance, one that comes with its own set of rules. Suddenly, he's thrust into a position he's not ready for: the tip of the spear in a quiet war against an American enemy. A war that could cost him his family . . . and his life.